I was asked today how I get things done. I had to laugh, because this morning was another morning I found myself awake at 3:00 a.m. worrying about all the things I hadn’t gotten done, or feared I would never do. It always amazes me how we see ourselves so different from the way others see us. I wonder sometimes which view is more accurate, more true. I think most often how others see us is a more accurate reflection of who we are. As women we are hard on ourselves-we set high standards and often expect the impossible of ourselves. It’s nice every now and then to hear from someone else what they think of you-how they perceive you. The innocent question this morning served as a little pick me up in the midst of my worry and striving. The truth is “it” will never be finished. There will always be more to do. If I am growing and learning and stretching, that is exactly as it should be. Doesn’t make it any easier. Frustrations rise when the dog tracks in mud on the clean floors, the kids pull out from under the bed or floor of their closet, two more loads of laundry just when I thought the last piece had been dried and hung and the husband informs me we are out of coffee just after my face is washed and visions of pajamas are dancing in my head. Add to that the request to serve one more day of lunch duty or fill in for a sick co-worker/friend. I know you know. We all know. We all get it. It’s life. We can either fight it or we can embrace every moment of it as a gift and give it our all. We can linger in frustration, resist doing or we can give ourselves a pep talk (coffee with a friend does wonders for me!) and pick back up. I don’t do it all. In fact I am almost (believe me when I tell you it has been a long work in progress) done trying. I have learned to scale back my to do list. I have learned that there is ONE thing I absolutely will not give up. I have learned there is a time (literal time) to stop. I haven’t learned the lessons easily. I am not perfect. But these three things truly transform my day, which transforms my week, which transforms my life. 1. I arise early and spend time with God. I used to think there was no “right” time to do this. I would now argue strongly that is false. God asks for first fruits. The Old Testament was full of instructions about offerings and first fruits. Christ came to fulfill that law, but we see in His daily living that He gave God His first fruits. Choosing to spend time with God first thing in the morning matters. It matters because that is about as close as I will ever be to being sinless. It is important because no one else has begun pecking at me, seeking my attention. It matters because He says it matters. I began this practice in high school. While I have missed days, it really rarely happens, and believe me when it does, it is rarely pretty. Arise early and spend time with God. 2. Drink 8 glasses of water a day. This one I struggle with. I love water. I grew up being a water drinker. I prefer water to most drinks. But some how, the idea of drinking 8 glasses in one day overwhelms me and the more cognizant I am of it, the harder it is. However, nothing makes me feel better than doing this one thing. I am more energized. I think more clearly. I rarely get a migraine. I eat less. The list could go on. Drink 8 glasses of water a day. 3. This last one is fairly new to me. Shortly after my girls were born (about 15 years ago) I began to struggle with fatigue and some autoimmune health issues. I need sleep. Like every good American, I wasn’t getting it. I began to go to bed earlier. For me to do number one, arise and spend time with God, I have to get up between 5:00 and 5:30 a.m. So, count backwards and that means a 9:30 bed time. I rarely make it to bed that early and NEVER fall asleep that early (but that is a whole other issue), but I did begin “shutting down the house” at 9:00 p.m. My girls quickly learned that coming to mom at 9:15 to get a signature on a paper, ask for a school uniform shirt to be washed etc… wasn’t gonna cut it. In fact, it wasn’t gonna happen. Recently though I found myself filling the evening time with other items: e-mail, Facebook, writing, cards, ironing, etc… I was finding myself less and less engaged with my family. So, I now try to wrap up all work by 2:00 p.m. I try to have the three most important tasks for the day, the ones that move me towards my goals or project deadlines, completed by 2:00 p.m. That leaves me the afternoon to catch up, do household chores etc… I am now getting dinner cleaned up and then focusing on time with the family. I am getting a lot of reading done, but I am less distracted and way less irritable if someone wants to sit and visit or needs a little extra help with homework or simply wants to talk. I’ll even throw in a last minute load of laundry. I am not as firm about “shutting down the house”, but having this extra couple of hours to just be, relate with my family, has honestly resulted in all of us being more ready to “shut it down” around 9:00/9:30. 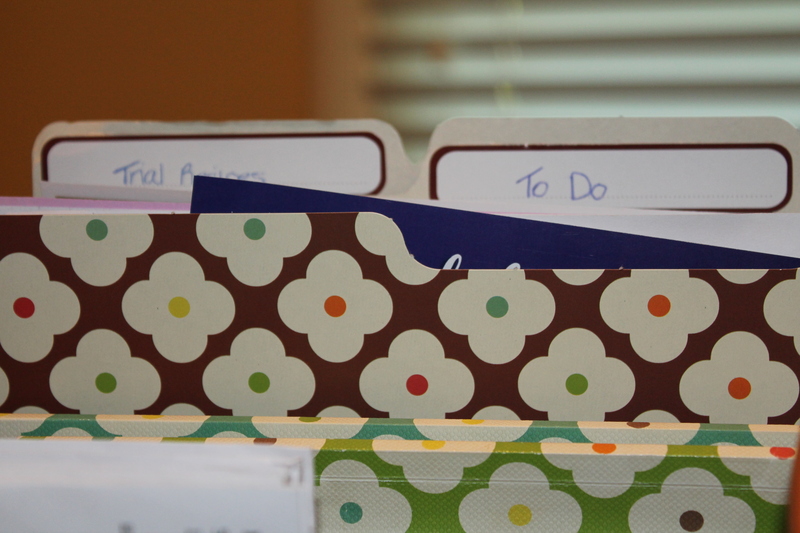 Complete your three most important tasks by 2:00 p.m. and then block off the time after dinner for family. Three simple disciplines. They make a difference. They keep me centered. They help me know my priorities. They make me healthier. They create opportunity for being. I got number one down. I’m not giving up on number two and three. I am less “successful” there, but I’ll keep on trying. I found your blog via the Arkansas Woman Blog on Facebook. Great post! I love the concept of organization. I’m a big Fly Baby fan. I appreciate your words and the recommendation to finish your tasks by afternoon. Thanks! I look forward to trading more.